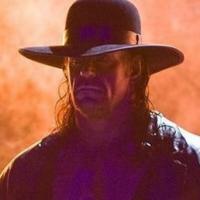 Familiy Ties The Undertaker is the cousin of Brian Lee, the husband of Michelle McCool and the ex husband of Sara. Trainer Was trained by The Spoiler. Managed by Managed by Dutch Mantell, Paul E. Dangerously, Percy Pringle III. and Teddy Long (as "Mark Callous"). Managed by Skandar Akbar (as "The Punisher"). Managed by Brother Love, Paul Bearer and Sara (as "The Undertaker"). - In 1994 The Undertaker fought Yokozuna in a casket match at the Royal Rumble event. Yokozuna won the match, after multiple heel superstars ran to the ring and assaulted The Undertaker. After the match, a promo appears of the Undertaker in the casket vowing his return before "floating" to the rafters after the casket "explodes" on screen. - Then feuds with a new superstar Mankind. During most of the rivalry mankind gains the upper hand using heel tactics, and during a boiler room brawl match, The Undertakers manager, Paul Bearer turned on him and joined Mankind. The Undertaker then competed against Mankind in a buried alive match and won, but, after a unknown superstar intervened and assaulted him, Mankind buried the Undertaker even though he lost. The Undertaker returned at Survivor Series 1996 and defeated Mankind. - Eventually it is revealed that Mr. McMahon and The Undertaker were working together to rid Austin of the WWF championship. The Undertakers then quietly disband the ministry and begins a tag team with The Big Show known as the Unholy Alliance. As a team they won the tag team championships but eventually lost them and also disbanding the team. - From 2006 to 2008, he fought to claim the World Heavyweight Championship. At Wrestlemania 22, 23 and 24 (2006, 2007 and 2008) he defeats Mark Henry, Batista and then Edge, also winning the World Heavyweight Championship multiple times during these years. - In 2009 Shawn Michaels challenged The Undertaker to end the streak. At Wrestlemania the Undertaker wins the match and extends his streak to 17-0. They have a rematch at next year’s Wrestlemania (26), where Michaels puts his career on the line. At Wrestlemania 26, The Undertaker wins again and ends Michaels career. - At Wrestlemania 27 The Undertaker is challenged by Shawn Michaels' best friend Triple H (who The Undertaker defeated at Wrestlemania 17 previously) who is defeated again and The Undertaker extends his Streak to 19-0. After the match, he had to be helped to the back.